The eighth book in the classic eight volume graphic novel series retelling the story of Buddha, from the godfather of the genre.In book eight, Buddha finally travels home to Kapiluvastu to teach and inspire more followers. 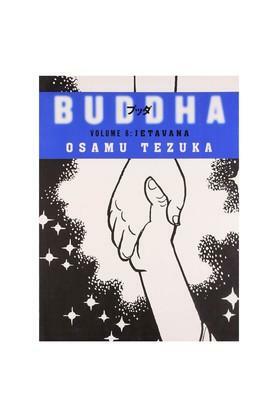 There, in the beautiful garden of Jetavana, he explains the original parable of the self-immolating rabbit and reveals the keystone of his philosophy.Originated in the 1970s, the 'Buddha' series is Osamu Tezuka's unparalleled rendition of the life and times of Prince Siddhartha. 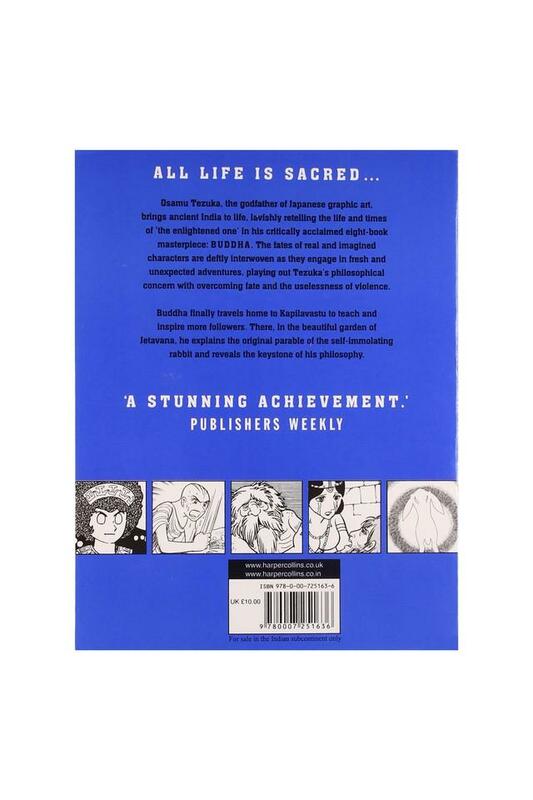 Tezuka's storytelling genius and consummate skill at visual expression blossom fully as he contextualizes the Buddha's ideas, with an emphasis on, action, emotion, humour and conflict as Prince Siddhartha runs away from home, travels across India and questions Hindu practices such as ascetic self-mutilation and caste oppression. Rather than recommend resignation and impassivity, Tezuka's Buddha predicates enlightenment upon recognizing the interconnectedness of life, having compassion for the suffering, and ordering one's life sensibly, his approach is slightly irreverent in that it incorporates something that Western commentators often eschew, namely, humour.